This Kreature originated in polar seas and has ice structuring proteins in its cells which prevent it from freezing to death in subzero temperatures. It will unleash a freeze ray to immobilize its prey, which it will then crunch into little pieces with its powerful jaws; it's also covered in slime which it can use to freeze an opponent through physical contact. Its eggs have the same proteins as its cells, so after spawning, it will create an iceberg around them to keep them safe. It will keep constant watch over its nestberg to prevent it from drifting away into warm water. Makes me wonder if Dimentiara had vikings. Serpentros is a solid sea serpent. 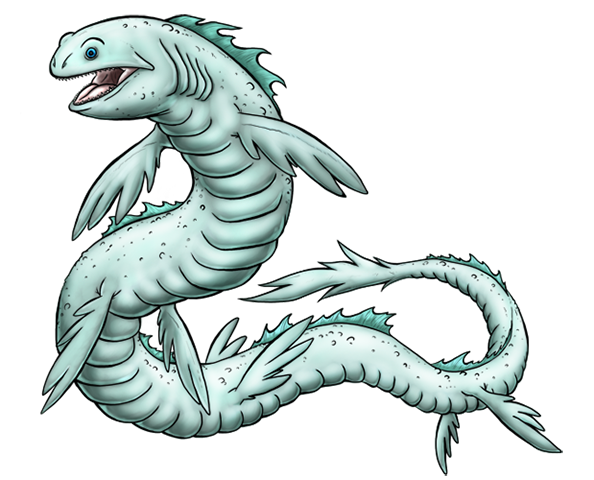 Sea Serpents are a type of beast that’s a good starter point if one were to begin designing monsters imo.